Wendy T. Behary, MSW, LCSW, is the founder and director of The Cognitive Therapy Center of New Jersey and The New Jersey Institute for Schema Therapy. She has been treating clients, training professionals and supervising psychotherapists for more than 20 years. Wendy was on the faculty of the Cognitive Therapy Center and Schema Therapy Institute of New York, where she has trained and worked with Dr. Jeffrey Young since 1989. 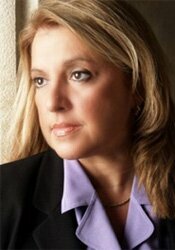 She is a founding fellow and Certified Supervisor for The Academy of Cognitive Therapy (Dr. Aaron T. Beck). Wendy served as the president of the Executive Board of the International Society of Schema Therapy (ISST) from 2010-2014. Wendy has co-authored chapters and articles on schema therapy and cognitive therapy. She is the author of (New Harbinger Publications- 2nd edition) Disarming the Narcissist…Surviving and Thriving with the Self-Absorbed. She has a specialty in treating narcissists and the people who live with and deal with them. As an author and an expert on the subject of narcissism, she is a contributing chapter author of several chapters on schema therapy for narcissism (Wiley Publications, APA Press and Guildford). She lectures both nationally and internationally to professional on schema therapy, and the subject of narcissism, relationships, and dealing with difficult people. Her private practice is primarily devoted to treating narcissists, partners/people dealing with them, and couples experiencing relationship problems. Financial: Wendy Behary is the Co-Founder/Director of The Cognitive Therapy Center of New Jersey and The New Jersey Institute for Schema Therapy. She receives a speaking honorarium from PESI, Inc.
Nonfinancial: Wendy Behary has no relevant nonfinancial relationship to disclose.